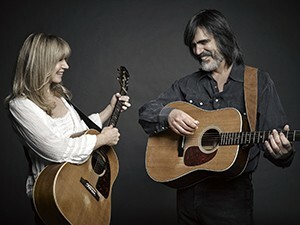 Award winning multi-instrumentalist Larry Campbell and powerhouse vocalist Teresa Williams return to Caramoor this summer with a special show featuring their friend and collaborator, keyboardist Marco Benevento. We had to invite them back after their crowd pleasing, joyous performance at our 2015 American Roots Music Festival! Steeped in the sounds of the Delta blues, gospel, Alabama soul, Nashville country, traditional folk, and classic rock music, this married musical duo has been winning over fans with their palpable chemistry and talent. After years of experience playing with others (including Bob Dylan, Paul Simon, Emmylou Harris, Levon Helm, and Phil Lesh), and fresh off their tour with Jackson Brown, Larry and Teresa–together with special guest Marco Benevento (a prolific pianist, songwriter, and producer known for his forays in experimental jazz), and bandmates Jeff Hill and Justin Guip–weave an eclectic mix of influences and textures to create a memorable and uplifting music experience.